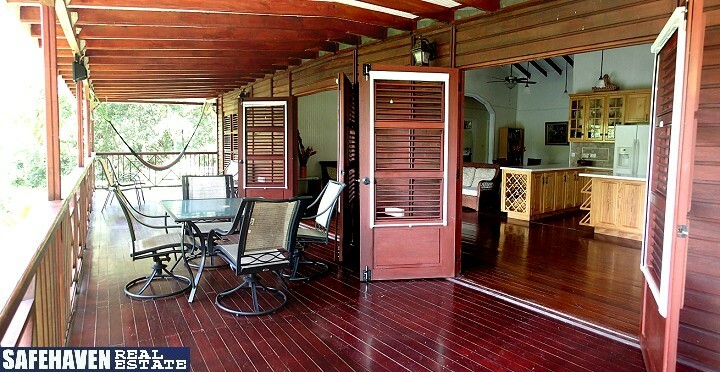 Super opportunity to own this bargained priced fixer upper which suffered some damage due to the passing of Hurricane Maria. The property is close to Syndicate Hiking Trail and is set on a generous lot. It can be accessed via a dirt road and commands an amazing view of the ocean. The property design included both concrete and wood. The ground floor is solid concrete and contains 865 sq. ft. of floor space and is that of a studio type standard; one bedroom, living, toilet, bathroom, kitchen and a porch. The upper floor contains 1,926 sq. ft of floor space. A section of the top floor sustained damage however the generator house measuring 6′ x 7′ is still structurally sound after it withstood hurricane force winds. Grounds are planted with a variety of fruit trees and shrubs and flowering plants which has already started to sprout. To add to this beautiful sight is the forested area all around the property. So calming, so inviting. There are two back up water tanks on the property, 800 gallons and 1000 gallons. Don’t let this country-style retreat pass you by. Price reflects true valuation of property and is sold AS IS! !